Zimmerman says being at camp allows her to demonstrate authenticity and serve as a role model. Anna Hopkins says her challenges range from marketing to accounting to recruitment and hiring. 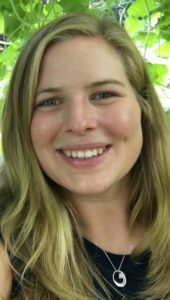 Kristy Andrews says she is learning “new things every day” at Wawenock as Assistant Director. and Hopkins, however, Andrews is long-familiar with Maine throughout the seasons. 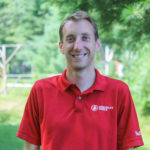 A native Mainer, Andrews attended Camp Wawenock as a camper for eight summers beginning at age eight, and spent several summers as a counselor. 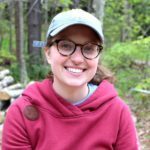 When she graduated from Bates College and wasn’t slated to begin a teaching job in Chile for several months, Andrews says Catriona and Andy Sangster, the camp directors, hired her on for a few months. 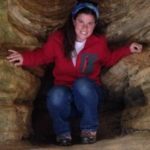 And when that job in Chile cemented her desire to return to Maine and to a camp career, her job at Camp Wawenock was born. Andrews says she knew she wanted to do “meaningful work.” And she “knew how meaningful it is.” Andrews says one value of camp is its role as a community outside a girl’s family or school. “There’s a whole group of people who love you and support you,” she says. While at camp, girls “learn who they are,” and can carry that knowledge with them into the school year. “They can be their true selves.” Today, as assistant director, Andrews says she is learning “new things every day.” And because the Sangsters, the facilities manager, and Andrews are the only year-round employees, “it’s all hands on deck,” Andrews says. All hands on deck, yes, but Andrews is exactly where she wants to be. 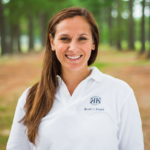 Carly Vargas spent summers at Kamp Kohut, where today she is staff coordinator and head girls’ counselor. But that’s exactly what these camp professionals are doing. Whether it is behind the scenes in the off-season or face-to-face with young campers throughout the summer, these men and women are developing careers with transformative effects. The camp experience can have a lifelong positive impact on youngsters and the counselors who guide and teach them. These young camp professionals – and many others like them – have taken on the challenge and reward of creating that impact.